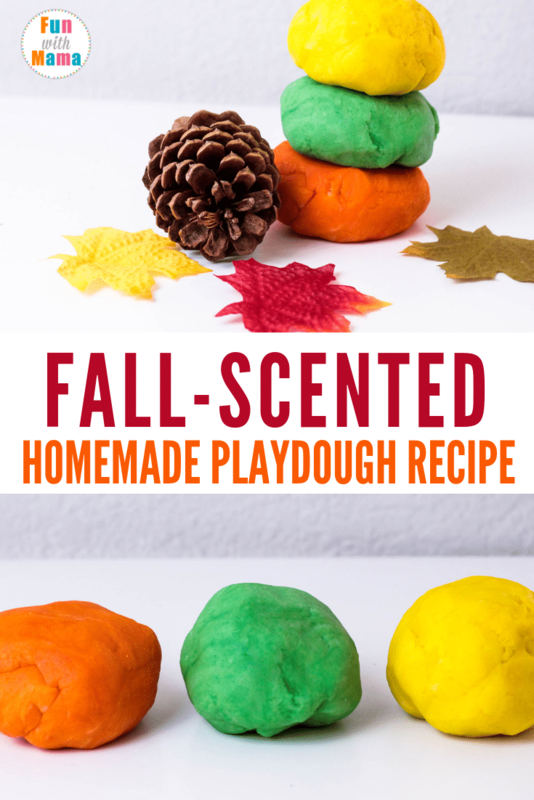 Are you looking for a fall playdough recipe? 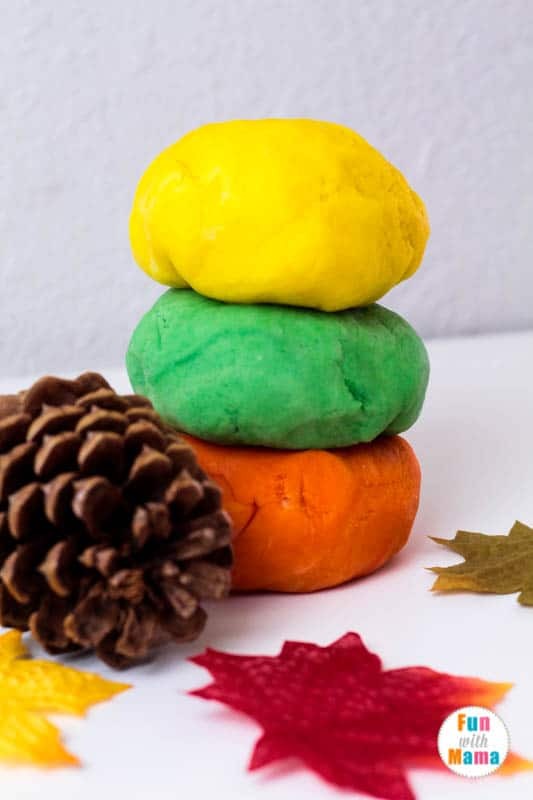 This fall scented cooked playdough recipe is a variation on our best playdough recipe, and allows you to whip up perfect homemade fall playdough in just a few minutes! 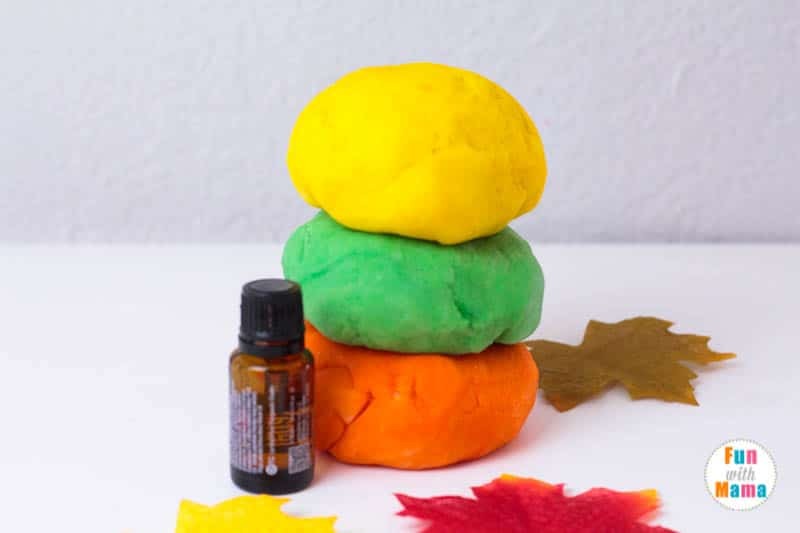 Kids will love that they were able to help make play dough with their own hands, and adding essential oils to the mix makes this dough smell MUCH better than what you can find in the store! Just make sure your kids know they still can’t eat the dough- essential oils are not meant to be consumed, and play dough is not designed to be eaten! 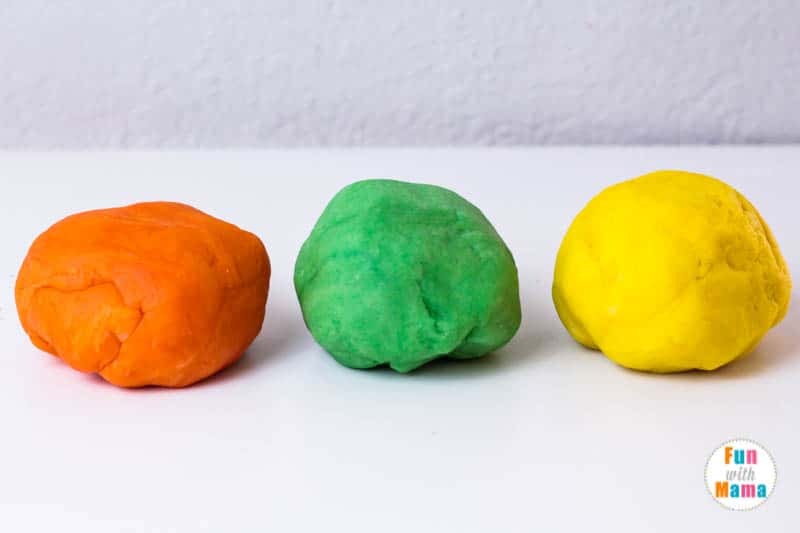 This fall, experiment with this cooked playdough recipe to learn how to spice up your play doh for fall! 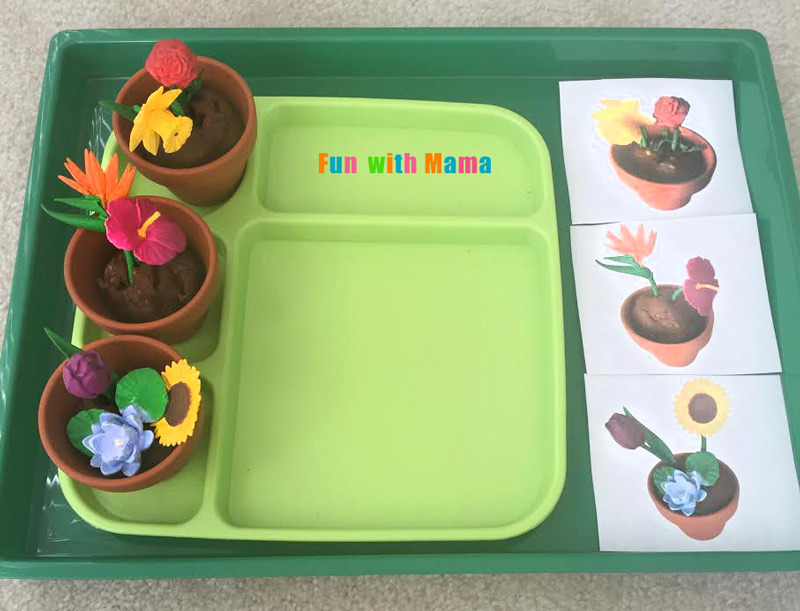 Try to make play doh at home with your kids this weekend and let me know how it goes. 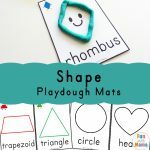 Your kids will be super excited at what they have created and will love playing with a playdough recipe that they have helped make with their own hands! 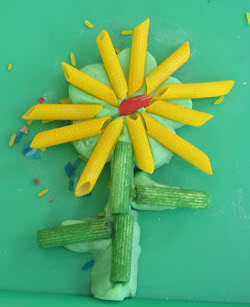 The best thing about this fall scented play doh recipe is that it lasts for quite some time! You can store it in a sealed plastic container for several weeks before it goes bad. You can also store the dough in the refrigerator to extend its life even further. However, storing the dough in the refrigerator tends to make it sticky. 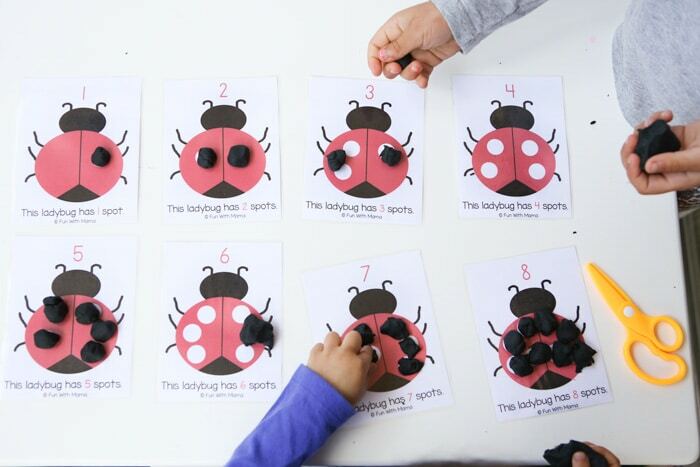 You can solve this issue by adding a bit of flour during play. 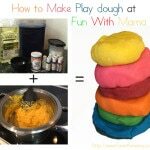 I love adding essential oils to play dough because it makes the dough smell so GOOD! 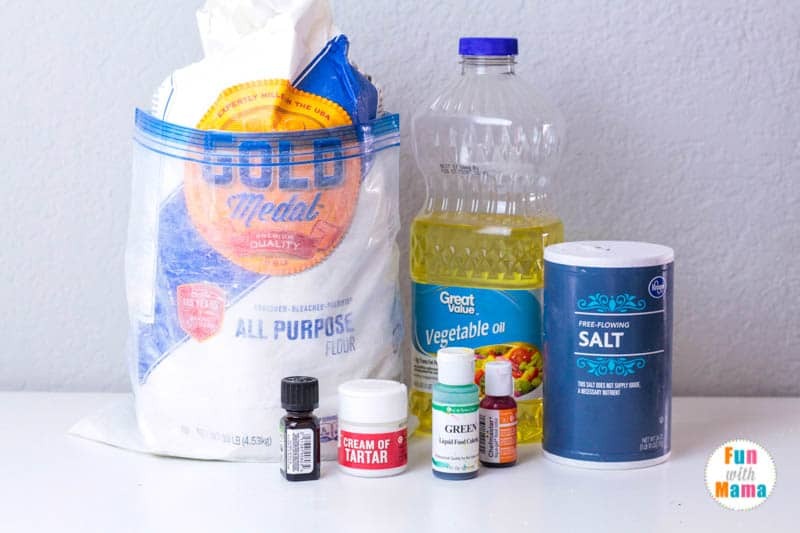 You can either add one scent to your entire batch of dough, or use a different scent for each color. 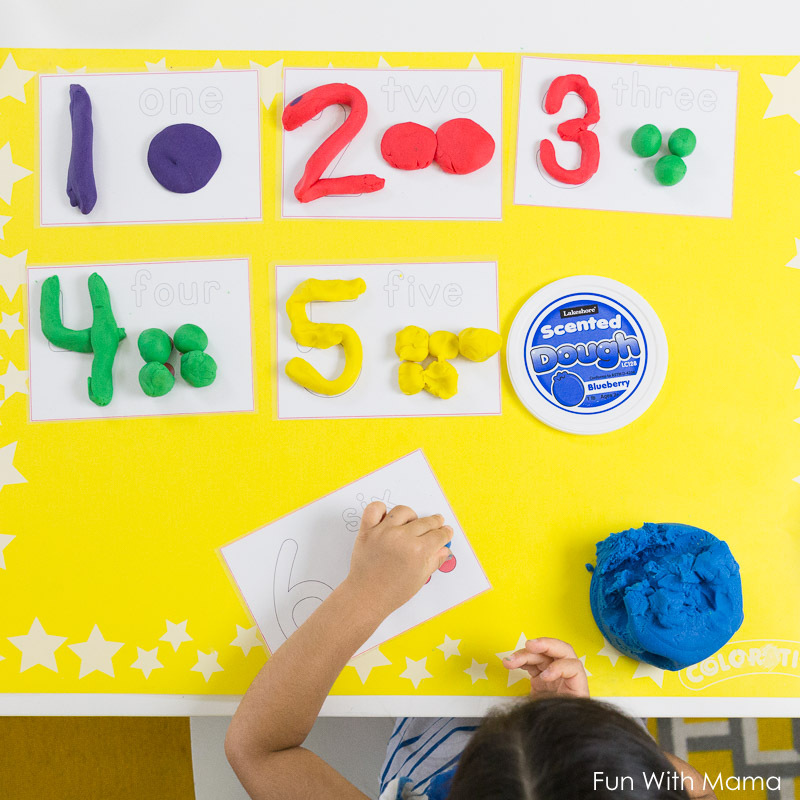 Visit our playdough recipe post for extended directions. 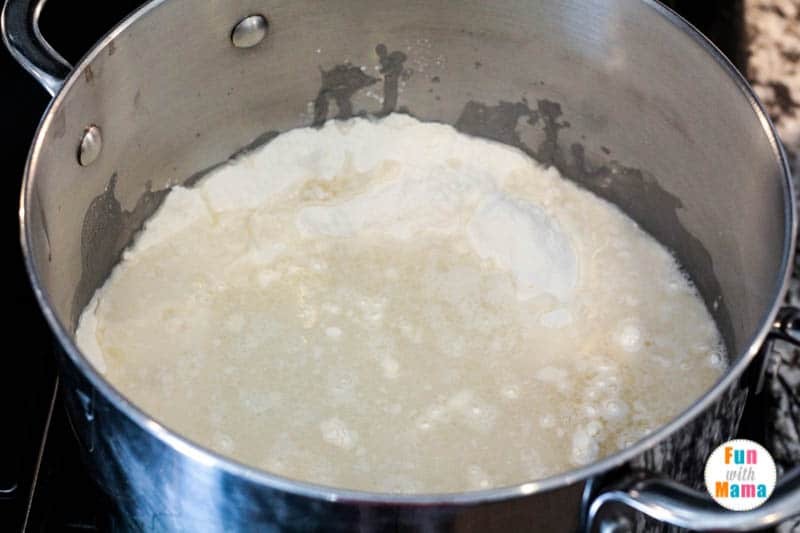 Mix the dry ingredients and then the wet ingredients in a pot on the stove. 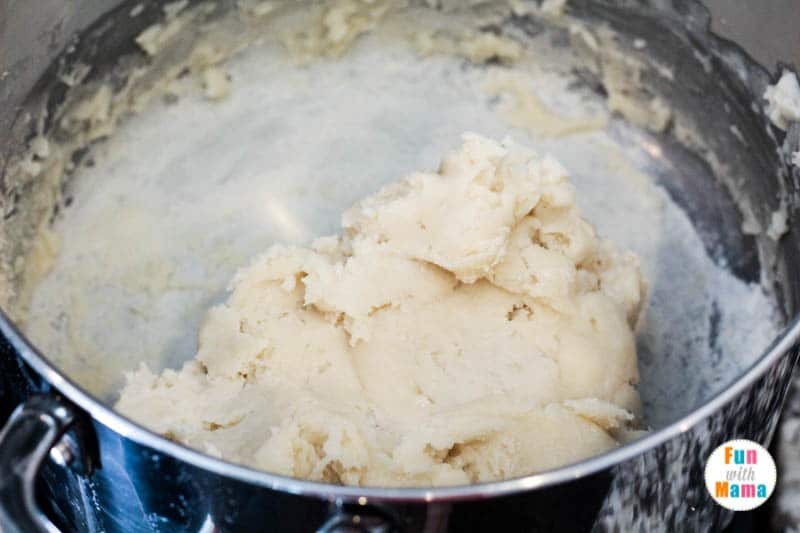 Heat the dough on medium until a large dough ball forms and the dough is no longer sticky. Allow the cooked play dough to cool. Divide the dough into however many colors you want to make. We made green, orange, and yellow for fall. 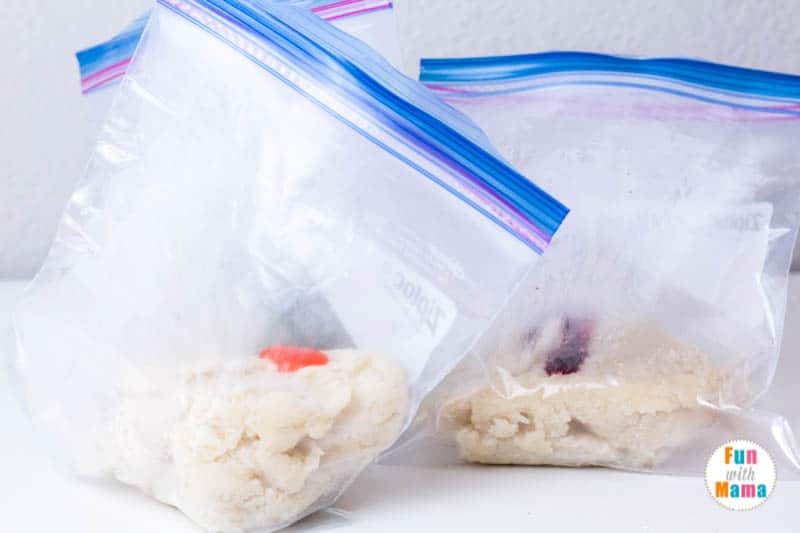 Place each section of dough into a sealable plastic bag. Add a squirt of color to each bag along with 10 drops of your oil of choice. Seal the bags and knead to mix the colors. 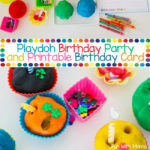 When the colors are mixed, remove the dough and let the kids have fun! 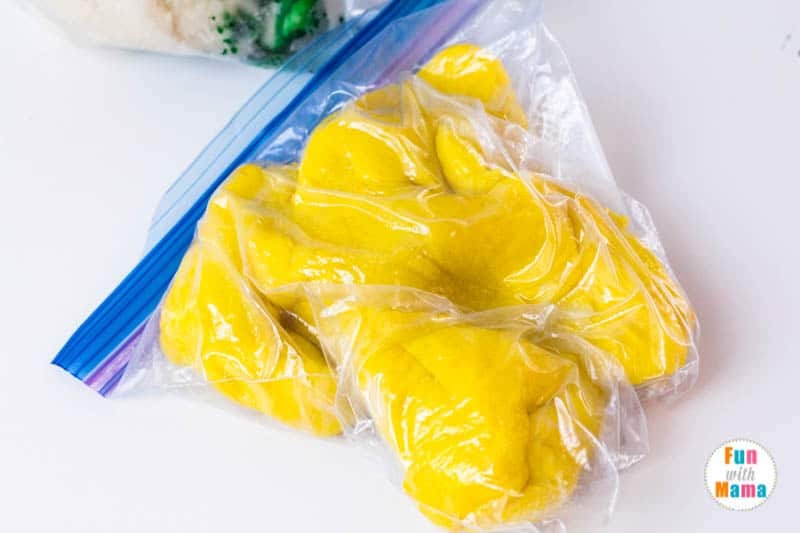 I love using a cooked playdough recipe vs a No Cook Playdough Recipe because it ends up being a lot softer, smoother and lasts so much longer. 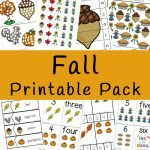 Use fall items to play with the cooked playdough, like acorns, pine cones, leaves, and mini pumpkins! You can also use fall cookie cutters along with this dough, such as turkeys, pumpkins, acorns, or squirrels. 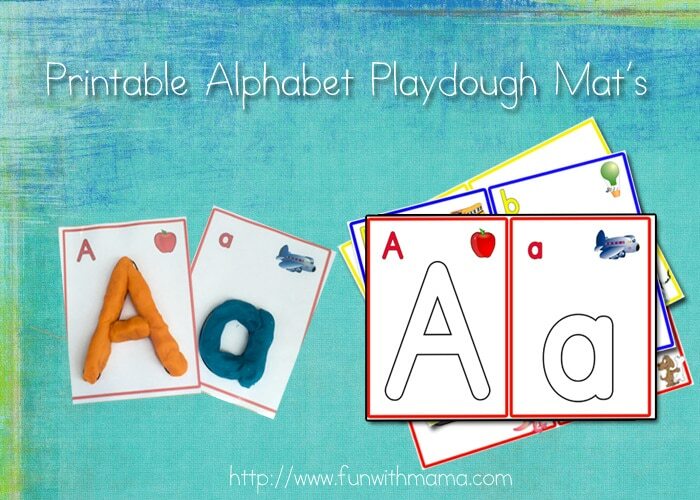 Check out our Koolaid Play Dough recipe too! 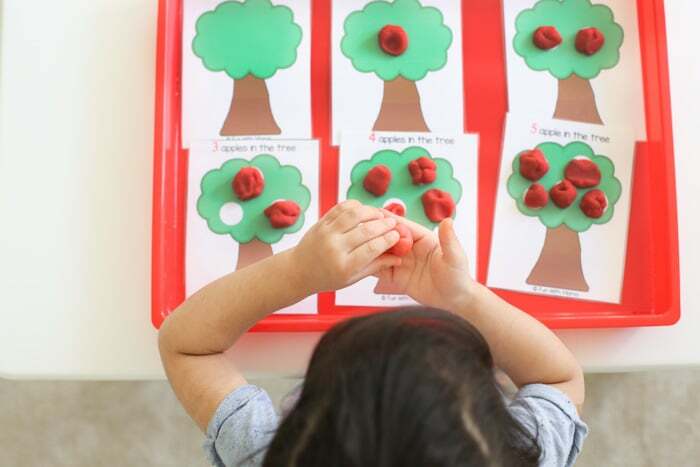 Try these fun play doh activities with your fall scented play dough!